The Exe Café is a bespoke building comprising a flexible teaching space, workshop and an industry-standard kitchen to teach supported learning students vital life and employability skills. It also houses a student-run café, which will be open to members of the public, which will give students the chance to hone both their catering and customer service skills. The Centre is situated next to the college’s beautiful garden and pond, which the supported learning students also maintain as part of their course. Petroc received funding through the Education Funding Agency, and the facility has been specially designed to accommodate students with a wide range of requirements and includes adjustable workstations and has full disabled access. 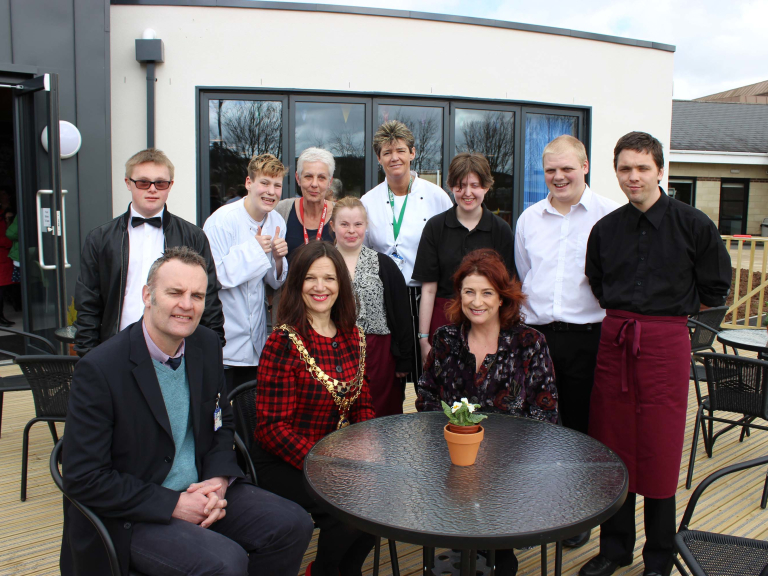 The event was well attended by students and staff, as well as a number of special guests and local dignitaries, including actress and TV presenter Caroline Quentin and Cllr Sue Griggs, Mayor of Tiverton. “I’m so grateful to be invited here today,” said Caroline. “I’d particularly like to thank ‘Chef Julie’ for making special gluten free food for me. As a coeliac sufferer I wasn’t expecting to be able to eat anything, so this is a real treat!,” she added. Speaking earlier in the year, Sue Trevelyan, who teaches catering to the students, said: “We have waited a long time to have a purpose built facility here in Tiverton, providing the opportunity for students to embrace the catering industry and, ultimately, learn the skills needed to find employment. “I feel very lucky to have the privilege of teaching such inspirational students in this fantastic building,” she added. Why not check out this Colleges business in Exeter. Petroc is a 'thebestof' business member.